Whether your home is brand new or you’ve been living there for decades, the need for window replacement can arise at any time. People often wonder how they can tell when it’s time to replace their windows. In some cases, the signs are clear, while others can be difficult to detect, rendering the adage “if it’s not broke, don’t fix it” not very useful. In any case, it’s important you know what signs to look for so you can accurately determine when it’s time to replace your home’s windows. If your windows have accumulated moisture in between the panes, are faded, dim or discolored, it’s recommended you replace them. Though they aren’t necessarily broken, windows with a poor appearance can reduce your home’s value and often can’t be returned to their original clarity. Plus, if your windows experience heavy condensation, their seal is likely compromised, reducing efficiency. Windows are designed to keep the outside from getting in. Over time, however, window shapes and structures can become damaged or misaligned, which allows drafts, moisture or even insects to infiltrate your home through naturally occurring gaps or cracks in the window. For those who have older homes, remember that your windows age along with everything else. Not only do outdated windows often look tacky, but they have a greater chance of developing structural issues like warping or gaps. Keep in mind, the average window’s lifespan is just 15 to 30 years.1 Upgrading to modern vinyl or PVC energy efficient windows will also boost your home’s value tremendously and can put a stop to drafts and unsightly damage. Window trims, especially wooden ones, are highly susceptible to rot, deterioration, corrosion and other physical damage due to being constantly exposed to the elements. If you notice any kind of physical damage to your windows, it’s a good sign they need replacement. Not only does it look unsightly, but it could also negatively impact the window’s functionality or result in gaps and other structural issues. If you’re having to use a lot of force to open or close a window, or it simply won’t stay in place, it’s usually a good sign the window needs replacing. Windows that don’t function properly are a safety issue if you can’t trust them to firmly shut and stay in place. Malfunctioning windows also causes poor efficiency. The increased force necessary to open or close a faulty window also increases the likelihood of cracking the glass or damaging frames. Are you a light sleeper? Do you live in a noisy area? 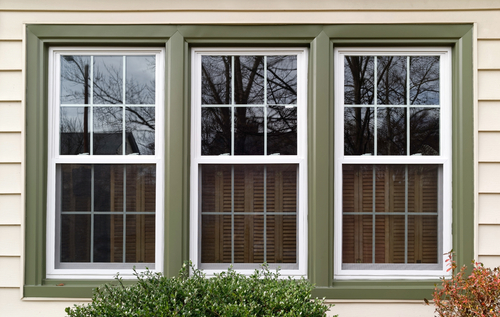 Upgrading your windows is an excellent way to reduce the nuisance of outdoor noise from infiltrating your home. Rather than block out the sound, modern windows absorb the sound vibrations better than older or single-pane windows, reducing the overall noise level inside your home. Have you decided it’s time to replace those outdated or inefficient windows? To prevent these issues from resurfacing, it’s important you work with a trusted, professional window installer who will install a great product and do it the right way. At Gravina’s Window Center of Littleton, we’ve been providing window and door replacement services as a family-owned and operated business since 1973! Contact us for a FREE estimate by filling out our online form or by calling 303-794-0490.